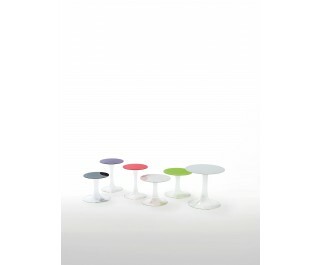 Series of round low tables with top in tempered glossy lacquered or opaque lacquered glass. Base in molded and shaped transparent borosilicate glass. Available in three heights and dimensions.